The word “epic” is tossed around often when it comes to games. Something can be an “epic” adventure with “epic” characters, “epic” boss fights, “epic” armors and so on. The word loses all meaning until a game comes along and gives it a sense of purpose again. The Legend of Heroes: Trails in the Sky SC is that kind of game. The scope of this experience is beyond any you could possibly imagine from a Japanese RPG. The Legend of Heroes: Trails in the Sky SC picks up right where the first game left off, which means some unavoidable spoilers. The first game begins rather innocuously, with Estelle Bright, daughter of war hero Cassius Bright, and her adopted brother Joshua becoming members of the Bracers Guild, essentially something of a mercenary group. Naturally, this leads to these two young people discovering threats to the queen and government and a secret society known as Ouroboros attempting to manipulate events for their own ends. The discovery of this group is only one of the many secrets uncovered, the other being that Joshua was actually raised as one of Ouroboros’ enforcers. 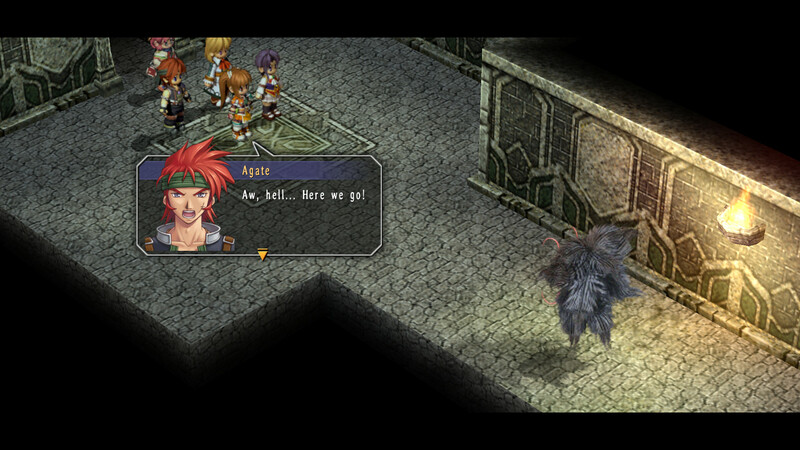 The revelation results in his leaving the party just as Estelle and the group are about to pursue a greater destiny. With Joshua off to make amends and get revenge, Estelle develops a new goal. She wants to find, help, and keep him safe. This means she’ll end up encountering and dealing with the same people he’s setting out to bring down. It’s a darker tale than the original Trails in the Sky, simply because secrets have been beared and the two lead characters have grown up. Estelle is an established Bracer who has proven herself throughout the first game. Joshua has learned the truth about himself and dedicated himself to a serious cleanup course. It’s funny that a game with such an extraordinary story would be accompanied by ordinary trappings. What’s astonishing is that, despite this shift in tone, Falcom’s script and XSEED Games’ localization realizes that one can’t remain steeped in drama. It’s unnatural. Even in the most dangerous and depressing situations, there’s going to be hope and perhaps even humor. It’s an incredibly balanced tale that combines light and darkness. Both good and bad things happen on the way to a satisfying resolution for Estelle and Joshua, and the localization is both heartfelt and humorous. It may not bring on the tears like Undertale, but it will make people feel things. It’s funny that a game with such an extraordinary story would be accompanied by ordinary trappings. Estelle and her party travels around Liberl Kingdom, visiting towns and going through dungeons, ruins, and castles. People along the way may ask for assistance, pulling the party into their own lives with various rewards in return. The Legend of Heroes: Trails in the Sky SC still relies on turn-based battles with some minor strategic elements. Characters equip orbments for special abilities, learn various arts attacks, and can work together for combos. Putting together Chain Craft combos can be especially critical for larger fights, since it allows a group of characters to work together and attack at once to defeat a foe. Characters also each have their own S-Crafts, incredibly powerful abilities, that deal even greater damage or provide important buffs to allies. It’s ordinary appearance belies its true nature as well. While the game looks good, it is showing its age. Yet despite that, there’s an additional level of detail for people who are willing to look closer. Characters toss their hair. Important figures have their own distinct appearances. Joshua’s character portrait changes as his character develops. The same care that went into realizing the story is there in each area, if someone takes the time to stop and appreciate it. 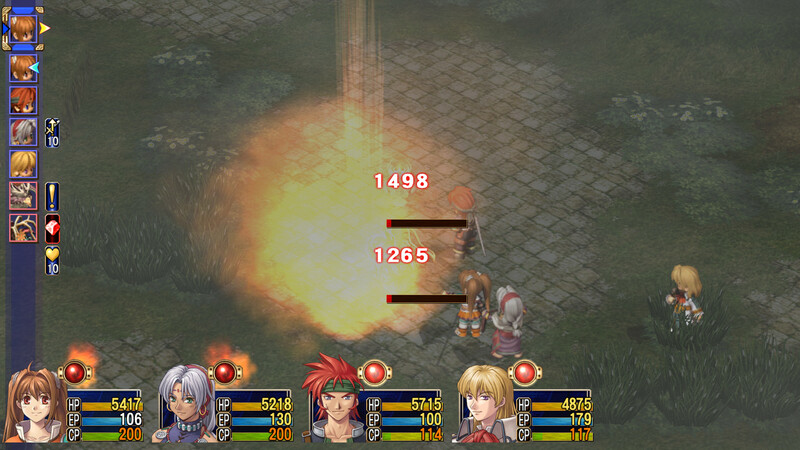 Patience is a virtue in The Legend of Heroes: Trails in the Sky SC. Not only because you’ll miss out on characterizations, an incredible soundtrack, and visual intricacies if you don’t stop and smell the virtual roses sometimes. Rather, it’s precious because there are additional things to do, sometimes time sensitive. 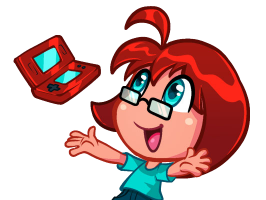 You know how sometimes you’ll stop what you’re doing to take a break to play a game, go outside, or catch up with a book? These sorts of supplemental activities are present here as well. There are casino games to play, fish waiting to be caught in ponds, and even full books to read for fun. You can take a break from the storyline with a side-quest, then pause a side-quest to read a paper. It’s a series of complementary content. 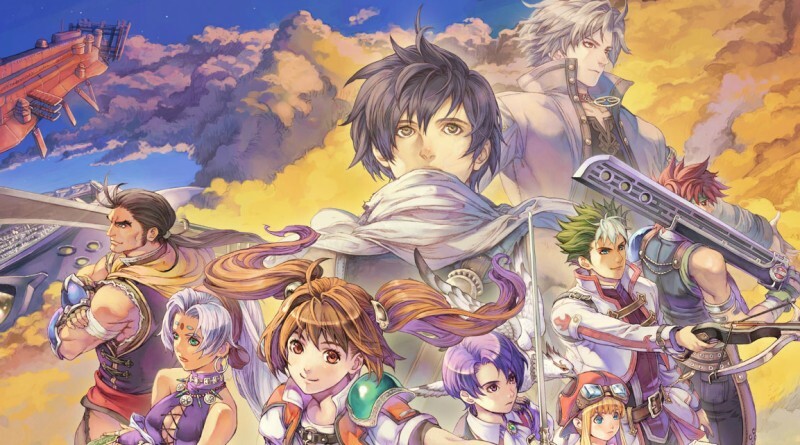 The Legend of Heroes: Trails in the Sky series is the Elder Scrolls of JRPGs. Yet, this begged a question. Are these nearly overwhelming supplements significant and enhancing the story? Perhaps all this is here so Falcom could point to the game and say, “Look how much you can do!” After all, I only approached the halfway mark after spending over 30 hours with the game. I believe the answer to the question is yes. Much of this additional material is there for a reason. It helps build a world that feels like it is moving and alive even without my influence as a player. At the same time, it also feels like much of it is there because Falcom realized it could do it to make for a better and fuller game, so did. It’s immersive in a way few JRPGs are. We typically have heroes and heroines who go from town to town, accomplishing their goals. They’ll connect with one another, but few of the others around them. Xenoblade Chronicles attempted a sense of community, with a network of people and side-quests, but The Legend of Heroes: Trails in the Sky SC accomplishes it by giving these NPCs lives that Estelle and her friends can involve themselves in. Even if you aren’t there, the world goes on turning, though your influence can help make it a better place. That is, if you have at least an additional 20 hours to spare. 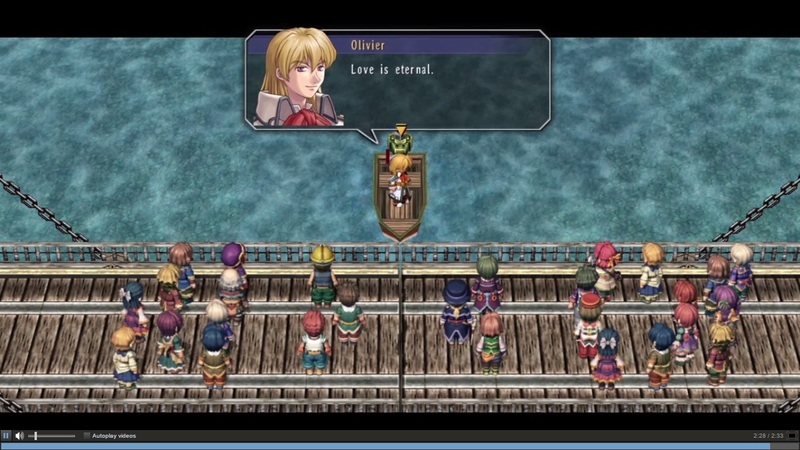 The Legend of Heroes: Trails in the Sky series is the Elder Scrolls of JRPGs. This is a massive game with a huge story, involved side-quests, intricate characters, and a world full of detailed lore a player can dive into. It was quite an undertaking for XSEED and Carpe Fulgur to localize, which means it’s equally taxing on people who attempt to complete it. The first 20 hours is only the beginning with The Legend of Heroes: Trails in the Sky, and people will love every minute of this adventure.